I took this picture at the North Point of Little Brother, in the Red Sea. 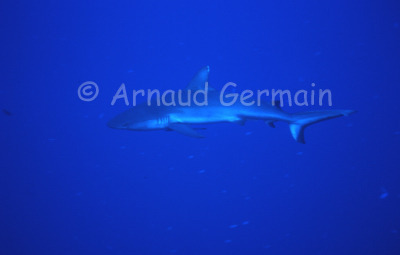 We had 3 grey reef sharks patrolling in front of us in very strong currents. When I approached one of them to take a picture, he arched his back, giving me a warning not to come closer. I got the message and retreated a bit before taking the picture.